The Gotta Go Topcoat is fast drying on the nails, so no need to worry about any mess. It gives your nails a glossy finish once applied. It seals & protects your nails from chipping & wear and tear. 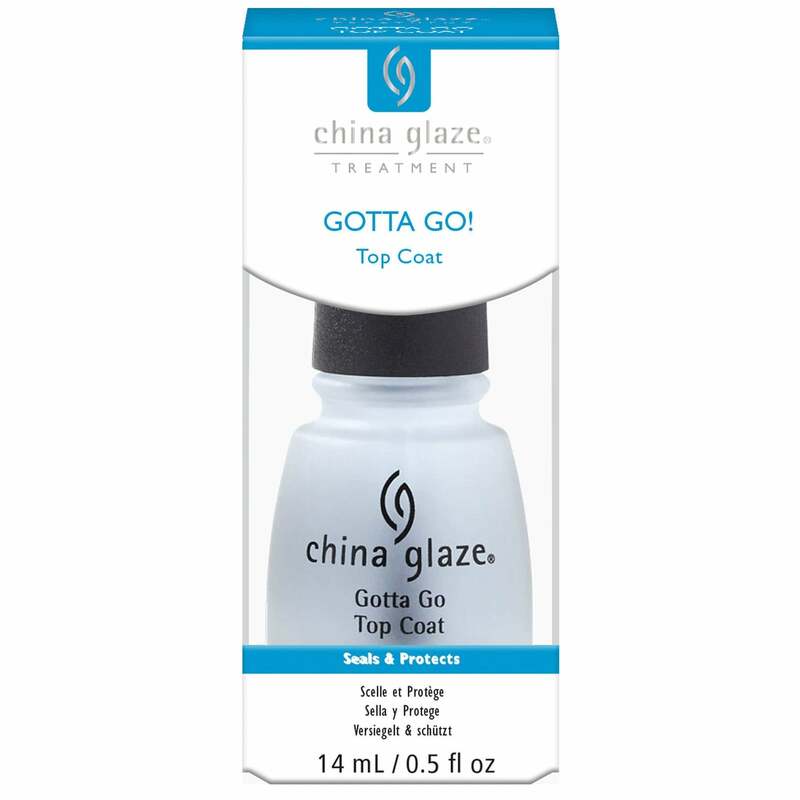 China Glaze Gotta Go Topcoat gives the shade a boost by helping it last longer on the nails. The Gotta Go Topcoat is DBP, Toluene and Formaldehyde Free. Apply one layer over polished nails.